Article on Liam Lynch, from the start of the Truce and his attempts to both preserve the unity of the IRA and advance the anti-Treaty position, despite opposition within and without. At the IRA Convention of the 26th March 1922, held in the Mansion House, Dublin, Lynch was noted as looking "concerned and somewhat perturbed at this turn of events." Things were clearly not moving in a direction to his liking. This was despite Lynch having urged for the Convention to proceed as planned, despite the opposition of the Provisional Government and the IRA GHQ, dominated by Pro-Treatyites like Michael Collins and Richard Mulcahy. Despite the gulf that now lay between Lynch and many of his former comrades, he was not bitter, merely regretful. "I admire Mick as a soldier and a man," he wrote of Collins. "Thank God all parties can agree to differ." Such respect often went both ways. When Limerick became the scene of a standoff between the pro and anti-Treaty IRA factions, Lynch was recommended by Mulcahy -and accepted by Collins - as an 'honest broker' who could resolve the tensions in the city. This Lynch succeeded in, much to the relief of many on both sides. Lynch was less amiable when Mulcahy banned the March Convention, an event he was previously promised. A series of resolutions passed at the Convention reaffirmed the allegiance of the attendees to the Republic - and the expense of GHQ and the Provisional Government - and the newly-formed IRA Executive, headed by Lynch as its Chief of Staff. "I was very impressed with Lynch,” recalled one contemporary. “He was always so meticulous about his appearance and dress… At the same time, he was a strong disciplinarian." 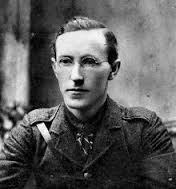 Others were not so sure, including his newfound allies, many of whom, like Rory O'Connor and Liam Mellows, regarded Lynch as too moderate and insufficiently zealous. Which may say more about them, but it showed the difficulties Lynch would face in guiding his men through the difficult times ahead – men who would show little patience for any sort of guidance. Not sure why you would claim this. It was the same IRA which fought the Brits to a standstill in the War of Independence. They were not ultimately defeated because of a lack of discipline but by British support extended to the Free State forces in terms of weapons etc. The Brits provided artillery, armoured cars and more then enough money to recruit and pay an army of tens of thousands. Many of these were demobilised Irish who had fought for the Brits in the first world war. According to Tom Barry, "Another thing that made our [anti-Treaty Republican] position impossible was the build-up of the Free State Army from the Irish regiments of the British army. They had been disbanded as part of the Treaty arrangements and sent back to Ireland. The Royal Munster Fusiliers, the Leinsters, the Dublins , the Connaught Rangers, all these regiments were disbanded at Oswestry in Wales , they were put into civvies and sent across from Holyhead to Ireland, where they were met by Free State lorries and brought to Beggar’s Bush barracks and put into green uniforms. Now some of these were probably decent men driven by hardship to join the British army. But others were violently anti-Irish and some had left Ireland in very unfavourable conditions: they were driven out because of their having done things against the Republican movement. We might well have been able to defeat the Free State until this lot came over, but after that it was impossible”. Not sure why you would claim this. I was referring specifically - to be covered in more detail in the second article, still to come - to the dysfunction within the IRA Executive before the Civil War broke out. The main fault-line lay between Liam Lynch and his allies, such as Liam Deasy and Florence O'Donoghue, who were willing to compromise with the Pro-Treatyites, and the faction led by Rory O'Connor and Liam Mellows, to whom any sort of concession amounted to betraying the Republic. The Executive never fused into an effective unit. It never had a common mind or a common policy. There was not time. Many matters, not strictly the concern of the Army, obtruded in discussion, social theories were aired and debated, projects were considered in an atmosphere of unreality, stresses developed which weakened the fabric of authority. Things were done and ordered to be done without knowledge of even the members, sometimes without Liam’s knowledge. Another member of the Executive, Joseph O'Connor, described how "the Rory O’Connor element was doing one thing and the Lynch party something different." This distrust culminated in the Mellows-Rory O'Connor group locking the Lynch party out of the Four Courts in June 1922, leading to a split within the Anti-Treatyites that was not resolved until the evening before the Civil War began on the 28th June.